Located 7 miles north of Valentine close to Hiway 83. Herbert & Eletha Lurz are the caretakers for this cemetery. A big Thank You to the caretakers Herbert & Eletha Lurz & also Marie Lurz Wiley for updating and correcting the information on this cemetery. Austin, George L(husband of Florence E. Harper m.12-25-1890) 07-09-1859 06-04-1914 Rochester, N.Y.
Black, Roy Clyde(son of Felix) 01-10-1889 06-16-1907 Cherry Co., NE. Black, Jennie C. Procter(wife of Phelix m.03-18-1888) 10-04-1867 03-06-1913 Monroe, Wisc. Fowler, Carloss Eugene(husband of Jaquiline Witt m.5-12-1951) 07-28-1924 06-03-2001 Sioux City, Ia. Howell, Elisabeth S.Howell(dau of Richard B.Howell& Jane Elizabeth Garton)) 01-31-1867 10-13-1893 Pekin, Ill.
Howell, Lorenzo (son of Elizabeth & Richard) 03-18-1873 04-12-1894 Pekin, ILL.
Melton, David Albert 08-19-1854 08-28-1929 Ill.
Van Metre, Cyrus(Rip)(Mack) McClellan(hus of Fannie Harper m.11-10-1892) 05-25-1861 06-1949 Marengo, Crawford, IND. We apologize for any errors in reading or transcribing of information. For corrections, please contact the Cherry County Coordinator. 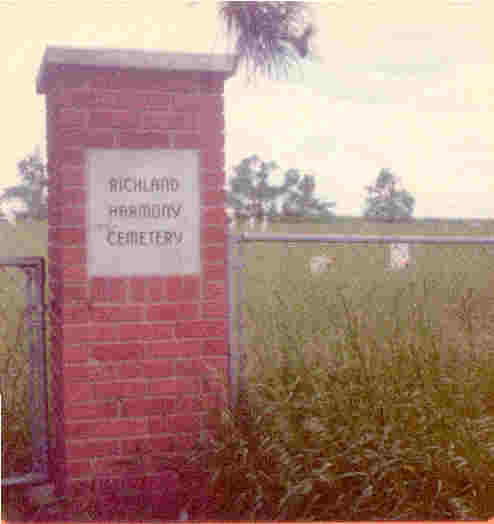 Information on births and deaths donated by Ruth Harms who walked the cemetery in 1974. Partially updated by Marie Lurz Wiley 07-2000. Picture donated by Ruth Harms.